The Steinberg authorized NUAGE workstation is your new rock solid, turnkey solution for Steinberg Cubase and Nuendo. It seamlessly integrates in Yamaha NUAGE environments. We offer 2 different base configurations: NUAGE S (single Xeon CPU) and NUAGE D (dual Xeon CPU setup) to cover studio requirements for different project complexities. Peace of mind and no nasty surprises: Our NUAGE workstations have been field tested by Yamaha. They are using our systems for intensive testing, presentations and product demos. Every single NUAGE workstation is individually pre-tested in a thorough 72h test cycle to ensure flawless operation, performance and stability before leaving our labs. As a native audio production solution, Nuendo utilizes the performance provided by our Steinberg authorized audio workstations. Our NUAGE workstations offer absolute stability in a completely integrated Yamaha Nuage environment. The systems are optimized for the DANTE™ network for both streaming of low latency audio for up to 128 channels at 96kHz (or 64 at 192kHz) from a single system as well as for control of all NUAGE and other DANTE™ capable software and hardware. The 4U rackmount case contains all you need to scale with your projects: in addition to the DANTE card and 5-bay external backplane (hot swap), there is plenty of room for additional SSDs, extra RAID controllers or 10GBASE network. No consumer-standard SSDs on-board: Your NUAGE workstation uses only enterprise-class SSDs certified for audio production. With their extreme longevity even at 24/7 operation, constant read/write performance and low latency, the SSD components we use are ideally suited to professional audio productions running hundreds of tracks. Enterprise-Class features like power-loss data protection (using buffer capacitors), self-monitoring and end-to-end data protection ensure reliable operation. Do you have custom requirements? Questions regarding the integration into your pipeline? Unsure about the exact configuration/performance required for your projects? No problem, our product managers and audio engineers are here to help. Simply contact us and we will tailor your workstation to your requirements. NUAGE workstations are turnkey rack workstations, without any bloatware or pre-installed trial software. Our audio specialists have pre-optimized the operating system and drivers to deliver best possible audio performance and low latency. No time to install your software? Our tech specialists can also pre-install your audio software of choice for you, including DAWs, plug-ins and sample libraries for an incredible "out of the box experience". 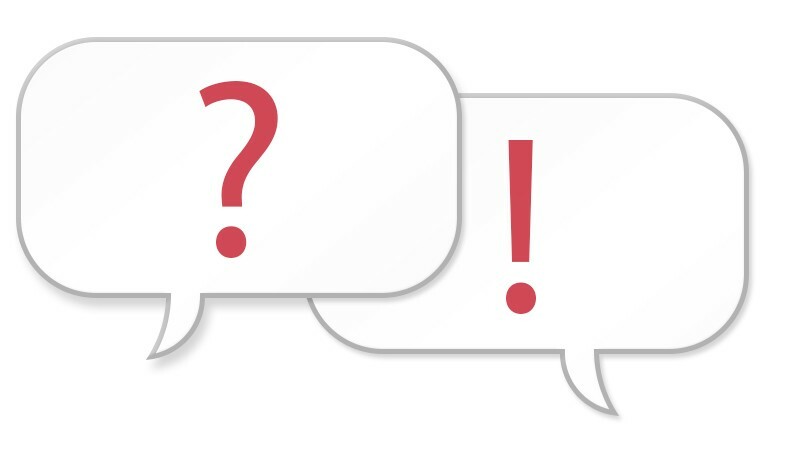 Do you have custom requirements, additional questions or do you simply want to talk to one of our audio specialists? High-Performance Single CPU workstation for YAMAHA Nuage production environments, authorized by Steinberg for Cubase and Nuendo DAWs. Quad-Channel operation requires at least 4 modules. perfect airflow due to optimized interior, removable dust filters for front fan(s), adjustable holder for expansion cards, front door can be locked. NUAGE D chassis has increased depth due to the Dual CPU mainboard. Allow room on backside for cables and connectors. CPU family Intel® Xeon E5 "Broadwell EP"
Apple® and Mac Pro® are trademarks of Apple Inc., registered in the U.S. and other countries. What is so special about XI-MACHINES NUAGE workstations compared to other workstations? In contrast to most generic hardware solutions (assembly line production) our NUAGE workstations are designed for professional usage with Steinberg DAW software Nuendo/Cubase and the Yamaha Nuage Advanced Production System. Each NUAGE workstation is manufactured and tested by our audio specialists. All components are selected and optimized for stable, low latency, silent and trouble-free operation. Every NUAGE system has to pass a 72h stress test in our test lab to verify all components and individual configurations. By the way, if you need our support/service you can get in touch with the same experts, audio engineers and product managers that designed, built and tested your system - instant support instead of generic hotlines. Is the DANTE card included in the price? Yes, the DANTE Accelerator audio interface card (dual port) is included. Is it possible to upgrade/exchange components like CPU, memory, storage etc.? Many components can be upgraded/exchanged upon request. With XI-MACHINES you can rely on years of expertise regarding professional audio components and equipment. We know which components you can rely on to ensure best performance and system stability for your audio workstation. Feel free to contact our audio specialists. Can I use Thunderbolt for my NUAGE workstation? NUAGE D (Dual CPU) can be upgraded with an optional Thunderbolt interface card to connect audio interfaces, A/V capture boxes, storage solutions etc. Please note: NUAGE S (Single CPU) does not have the option for a Thunderbolt add-in card. How do I clean the intake dust filters? Looking at the front of the case the intake fan is located on the left side behind front door. It is covered by a removable lid. You need to loosen the two thumb screws to open up the lid. Just open it a little and carefully lift the lid so you can reach the filter tray on the right side. You can pull out the filter to the right. Take care not to detach or damage the fan cable. The filter can be cleaned with compressed air or a vacuum cleaner at lowest setting. You can also wash it gently with cold water (let it dry completely before you re-insert it). Is it possible to use more than 1 DANTE card in a NUAGE workstation? No, but if you need more than 128 inputs/outputs, you can add additional NUAGE workstations that can be synced. What is the difference between Consumer and High-Endurance SSDs? After years of testing and product comparisons (we test dozens of solid state drives from different manufacturers in thorough procedures for each generation) we narrowed down the field to only very few drive types. While many drives offer high maximum transfer rates only very few can offer constant performance, reliability and durability in 24/7 operation. 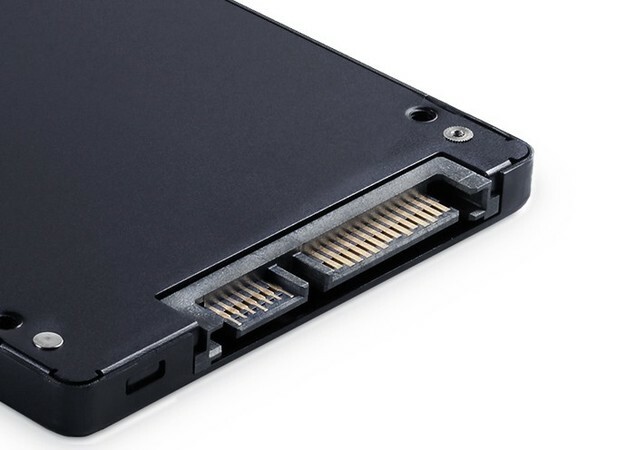 Consumer drives cannot keep up with our selected Enterprise level SSDs, especially worst-case performance in 24/7 operation is an important factor to avoid drop-outs and data-loss (e.g. in the field of real-time/broadcast, live recording, media servers and professional audio). What if I prefer a tower case? We can offer professional audio workstations for Nuage on a custom basis. Feel free to contact our pro audio team regarding individual requirements. What if I already own an AD/DA converter or DANTE hardware? Can I use my existing equipment with a NUAGE workstation? Sure. NUAGE uses the DANTE protocol for audio in-/outputs. You can include any existing DANTE-compatible device that can utilize for your studio, theatre or stage production. You are free to combine any DANTE products from different manufacturers to suit your needs. You can use the AES67 protocol (with some limitations) if you plan to integrate devices using the RAVENNA protocol. NUAGE supports Dolby Atmos. Is the NUAGE workstation able to handle a large number of tracks? As one of the most advanced environments for scoring and audio post production our NUAGE workstation is optimized for low-latency, real-time data processing with large bandwidths and transfer rates required for multi-channel audio and synced video footage. Our system supports classic stereo and common surround formats like 5.1/7.1 as well as Atmos configurations at different resolutions. Is it possible to operate my NUAGE workstation with DANTE and other network protocols simultaneously? Yes, NUAGE workstations offer additional network interfaces for simultaneous operation of DANTE, EUCON and your local workgroup/domain. Can I use wireless LAN with NUAGE? To ensure a stable, fast and reliable network connection we highly recommend using cabled connections. Yamaha recommends Cat.5E STP cabling or better. Can I use the same network for DANTE, local network, server and internet access? Due to the complex nature of DANTE data streams we highly recommend to use a separate network for DANTE to ensure flawless operation without drop outs. 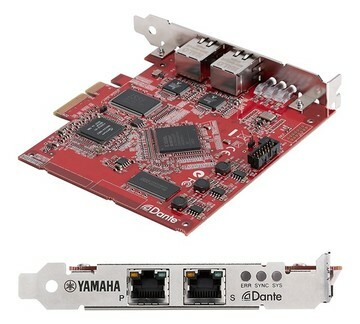 We can recommend specialized switches (Yamaha and Luminex) to create a dedicated DANTE network. Alternatively, your IT staff can use VLANs (Virtual Local Area Networks) to isolate DANTE traffic from your existing network. Feel free to ask our experts about best configuration practices. Do you offer an optical drive for NUAGE workstations? Sure, just order an upgrade (option) and we will integrate a DVD or Blu-ray drive or writer.